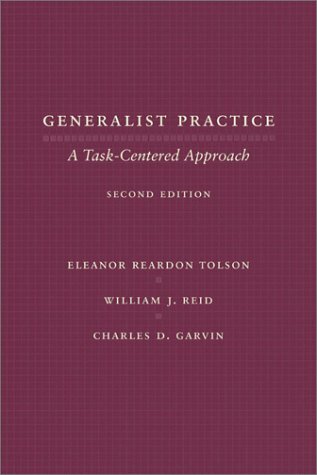 This essential text presents a "task-centered" methodology -- a structured, short-term problem-solving approach -- applicable across systems at five levels of practice: the individual, the family, the group, organizations, and communities. The second edition offers more information on systems theories and includes case studies and practice questions with each chapter, as well as checklists for each level of practice and exercises to help students monitor their understanding and skill development. Eleanor Reardon Tolson is Associate Professor at the Jane Addams College of Social Work, University of Illinois, Chicago. She is coeditor, with William J. Reid, of Models of Family Treatment, also published by Columbia University Press.